Allah is pleased with them and they are pleased with Him. Such people are the party of Allah. 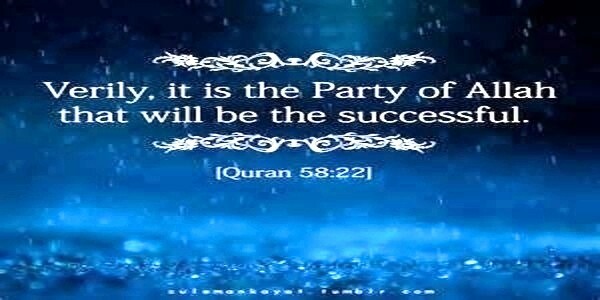 Truly it is the party of Allah who are successful.